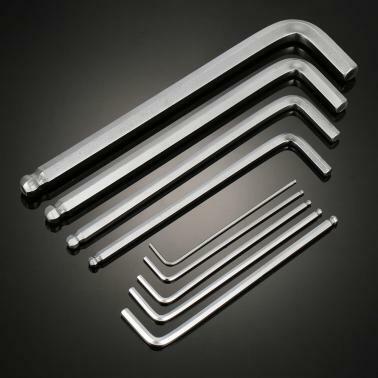 9pcs of L wrenches, each with different size for different uses, very perfect for those where various tool sizes are required. 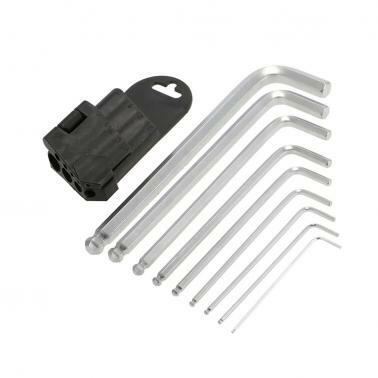 9pcs of L wrench with different sizes: 1.5mm, 2mm, 2.5mm, 3mm, 4mm, 5mm, 6mm, 8mm, and 10mm. Ball end tip, convenient for 10-25° angle entry in hard-to-reach and blind locations. End chamfering, convenient to add nut. Chrome vanadium steel with heat treatment, high torque. High hardness up to 56-61HRC, stronger and more durable. 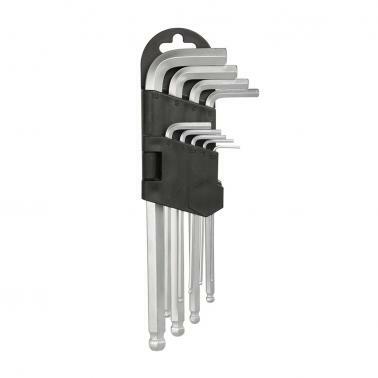 With user-friendly holder to keep the wrenches well organized. 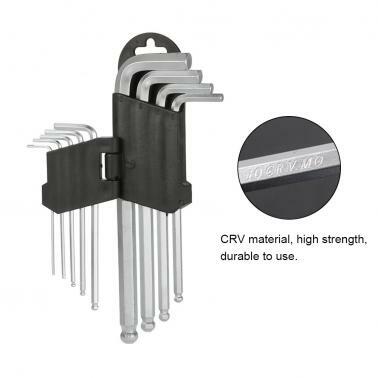 Compact and portable, great repairing tool for any cyclist.